What AI can do and what does its development mean for developers? Not so long time ago, Artificial Intelligence (AI) was nothing else than subject of discussions based on theory and speculative fiction. Today, however, due to fast changes present in every segment of our existence, we came to the point where AI will greatly influence both the technological sector, labour market as well as the everyday life of each one of us. Above all else, we have to explain what AI is. There is no broadly accepted explanatory definition but the term in question usually describes every artificial or non-living system showing a certain form of “intelligence” or in other terms the ability to adapt itself to new circumstances and conditions that serve as basis for collecting information and learning. In the same time, we are talking about a specific field of computer sciences dealing with the development and research and finally with the implementation of such systems into different fields. AI has been among us for a while; it hides within Facebook’s and Google’s algorithms, follows every single step you take on social networks and what you usually watch on Netflix, recognizes faces on photos, decides which ads you will see while surfing and stands behind other activities taking place online and that we usually take for granted. In the same time, AI ensures an efficient functioning of digital assistants like Siri or Cortana but is present by other cutting-edge technological solutions like self-driving cars. And it is only the beginning. Any kind of smart software will soon be able to establish a diagnosis autonomously and repair itself completely alone. Besides that, it is expected that AI will greatly contribute to the improvement of energetic efficiency, capacity planning, performance of IT systems and managing outgoings and budgets. Despite all that has being said, one of the most burning questions lately approaches the influence of machine learning and smart algorithms on the work of developers and programmers around the world. Will it be normal that AI writes and developes codes and new softwares independently without any need of human intervention? Will the technology of the future reduce the developer’s role to a sheer supervising one or exclude them completely? We should be aware that contents about AI served by the media often border with sensationalism. We aren’t nearly close to a scenario that can be seen in “Terminator” or “Matrix”, and it is highly unlikely that something like that would happen in the first place (fiction remains fiction no matter what). What can be said with certainty though is that AI will deeply impact the labour market and make many jobs and occupations completely obsolete which doesn’t necessarily mean that the human contribution will become unnecessary. Yet, certain analytics and experts look at this topic with a huge amount of optimism, expecting that AI will improve the developer’s productivity, creativity and innovation in their work. Predicting the future is however a hard task because there are always factors coming up that no one expected to appear in the first place. This can especially be applied to the techno-computing sector where changes take place every minute. Our colleagues from Perpetuum Team assume AI will certainly make the developer’s job quicker and easier while hoping to see a positive influence and bigger freedom in the same time which can result with more creativity by creating complex systems. “I’ve recently read a really interesting article on this topic named ‘Humanity’s Last Invention’. It depicts the progress of AI and machines that make part of our lives more than ever before. When it comes to programming and developing, AI will surely make the job quicker and easier. Every complex problem that has been solved creates a certain framework for an easier implementation of the solution when dealing with other projects. 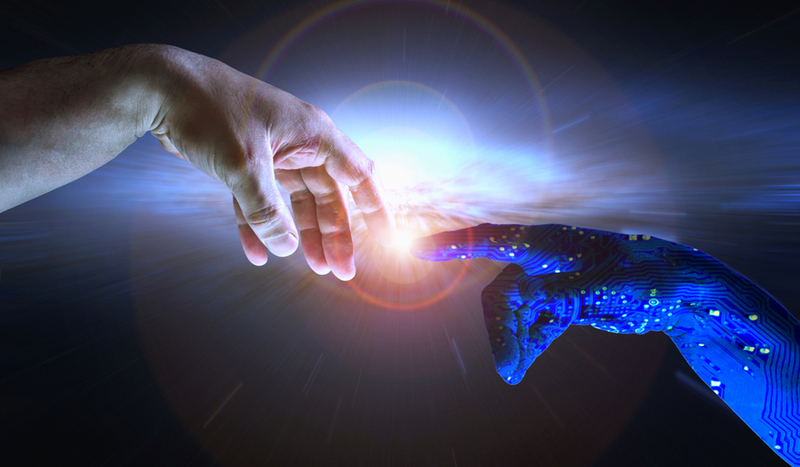 Therefore, we can expect the creation of a more sophisticated AI that would eventually be able to connect all partial solved problems by providing us with a final and perfect product. My humble opinion is that the end of human development will be a so called “humanity’s last invention”, says Mario Trupković, development engineer. “AI will definitely make development easier and quicker. We cannot say though if it will provoke several headcuts but my opinion is that something like that will never happen. AI will be a useful tool for developers”, says UI/UX designer Zvonimir Dimovski. Let's start something great together! Once a month we send out news about our companies work and about what’s going on in tech. Feel free to sign up!